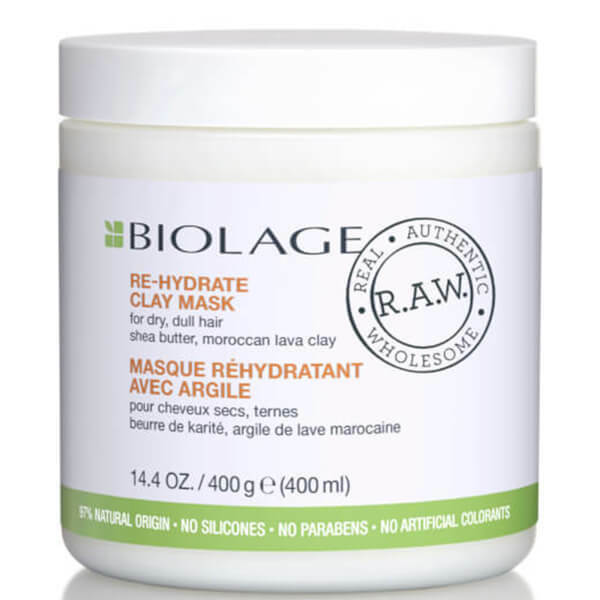 Transform dull, dry hair with the Biolage R.A.W. 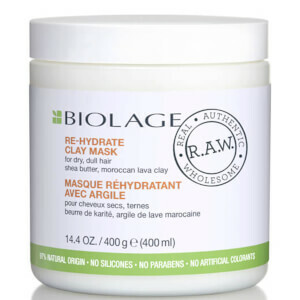 Re-Hydrate Mask. Utilising plant-based extracts to deliver nourishing natural care, the creamy formula envelopes hair with essential moisture and vitamins with a base of Shea Butter and Moroccan Lava Clay. An ideal deep conditioning treat, the hair mask leaves tresses feeling softened and revitalised with enhanced moisture retention for long lasting results.